LET THE REAL OBAMA LOOSE…THE LEADERSHIP THAT WILL CARRY YOU FORWARD AT GREAT SPEED. The excitement grows in anticipation of the coming weeks, as the first real step towards Ascension looms near as Obama holds his position in the lead in the Presidential Election. Much is depending on the result, but the people have not been fooled by the antics of the opposition. They recognize in Obama his earnest desire to work for the people, and see his achievements in spite of the attempts to deny them. The tide has turned as people awaken to the truth and are now more intuitive when selecting their leader. There is also a strong feeling that it is time for far reaching changes that lead you into the New Age. Naturally with the coming changes, explanations will be given so that people understand what is happening and why. It is after all important that their support is gained, to ensure a smooth transition from all that has represented the old paradigm. It must go and all that is required is ready to take its place, and has been for a long time. The tasks in hand have been made easier through the wonderful work of the Lightworkers, and will become even easier as the dark Ones are put where they can no longer interfere. Already their influence is weakening, and together with our allies we will ensure that they cannot get back. We do not worry about the time aspect as you do, as we know that all will be well and Ascension take place as promised. We suggest you take notice from hereon of what Obama says, as you will get the first clear signs of one who is now able to go ahead unimpeded. Hitherto, he has been hampered all the way, and even discredited when he has made decisions that have been of benefit to the people. Let the real Obama loose then you shall see the leadership that will carry you forward at great speed. Duality is all but finished but many individuals are playing out their last game. However. as they become isolated their power is greatly diminished. What is heartening is the way many groups of Light have been formed, and are transmuting the dark energies. As a collective of the number of groups that cover the planet, it is becoming a formidable force to be reckoned with. The job is not done with the passing of Ascension, as your evolution carries on to the next opportunity to rise up even further. The Golden Age will be a wonderful experience, and different in all respects to the lives you have had in duality. To be happy and full of joy for just being alive is not something you have experienced very often. To have trust and confidence in all those around you comes naturally, as you realize that all souls in the higher dimensions are of the Light. Not only that, the Light you carry will identify you and seen by all other souls. Only truth will be spoken and anything less will give you away. Dear Ones, what a long way you have travelled since you first dropped into the lower vibrations. Time slowed down and you seem to have been climbing back up for eons of time. Yet even when in the depths of darkness, you kept that godspark shining out and never really lost touch with your source. You knew it would be tough, but also knew you would never be deserted by God and would fully return to the Light. 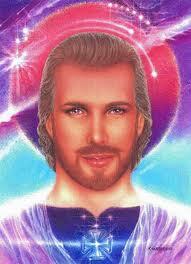 Now many know that to be true and are prepared for Ascension and a place in the 5th.dimension, or even higher. You will find yourself exactly where you are entitled to be but can of course move freely within the lower dimensions. Oh yes, we know what an impact Disclosure will have when it finally takes place, and allows us to meet you at last. Yet it still remains an event that has to be carefully planned so as to minimize any possible negative affect upon the people. Fear is a powerful force that has been played upon for millennia of time by the Illuminati, but we are slowly winning people over. With no evidence that we of the Galactic Federation of Light are a danger to you, we have broken down the web of lies that have been spread about us. Indeed, many of you have read of our exploits, in keeping the warring elements from starting another World War. It was many years ago that we approached your powerful leaders to offer help in establishing peace, but it was turned down. Ever since those days some 70 years ago we have often returned to renew our offer, but it has still been rejected. The turning point for you all was when so many of you responded to the call join together for the Harmonic Convergence in 1987. The result was so positive you changed the direction of your civilization that moved into a higher level of Light. Since then you have applied yourselves to the task of preparing for Ascension very successfully. We can give all the help you need but in the final reckoning it is you who decide the outcome. Freewill comes above all else and is acknowledged by us. Sooner or later those who are just awakening will hear about the changes, and need the help of those who are more fully informed. That is where you can be of great service and are capable of sharing your knowledge. If you answer questions just sufficiently to satisfy the questioner, that should be enough to enable them to make progress. Too much information at a time can be overwhelming and nullify the good that might have been done. From one source or another, no soul will be able to claim that they were denied an opportunity to learn about Ascension. Time is short of course but even so we will make every attempt to place the facts before as many people as possible. Relax and enjoy the final days which should be exciting and fulfilling for you. Allow others to find their own way to Ascension or an alternative path, knowing that the right decision will be made by them. It will be intuitive and therefore meet their needs for their future, and not because of anyone else’s direction. This is a time when your needs come first, so do not be hesitant to follow your own intuition. If you are ready to ascend you will do so and remember it will not be by chance, as you will have earnt that opportunity through your own efforts. I am SaLuSa from Sirius, and counting the days left before we expect to commence the last stages of our mission. We love you as ever and see you as extremely beautiful souls.